On the Fourth of July, I took dozens of pictures of my kids in their cute red, white, and blue outfits. But, at some point, I guiltily forced myself to put down my phone and focus on enjoying the moment. It turns out I didn’t need to. According to the results of a five-year study published last month in the Journal of Personality and Social Psychology, taking photos can actually enhance the enjoyment of positive experiences. Once reserved for special occasions, photography is now an everyday activity. We take pictures of cats lying on their backs, dinner plates at restaurants, and oh-so-many selfies. Starting in 2011, Diehl and collaborators Gal Zauberman and Alixandra Barasch set out to systematically study how that ubiquitous activity affects our engagement with and enjoyment of experiences. In a series of initial studies, they asked people to either take photos or refrain from taking photos during a real-life experience — a bus tour of Philadelphia or eating lunch at a farmers’ market food court. In a controlled lab environment, they also invited volunteers to watch a virtual bus tour or a concert and, again, either take photos or not. In every situation, photo-taking heightened feelings of engagement and enjoyment. That extra boost of enjoyment persisted over time even when the participants were asked not to revisit their photos. Then the researchers looked closely at how photography leads to this heightened enjoyment. Volunteers observing a virtual first-person tour of London were asked either to not take photos, to take photos by clicking a button, or to imagine photos they would like to take without taking any. Even those who simply planned which photos they would take enjoyed the tour more than those who did not take photos, suggesting the mental process of planning photos — and not the actual mechanics — is the source of the benefit. In a final set of studies, the team explored the limits to this enjoyment boost. When photo-taking was intrusive — such as lugging around bulky camera equipment or taking time to delete photos after taking them — it negated the extra positive effect of taking pictures, although it did not decrease baseline engagement or enjoyment. Photography also did not affect enjoyment if a person was actively engaged in an experience, such as doing a craft. The study did not investigate how sharing photos — such as immediately editing and posting a photo on Facebook or Instagram — affects an experience. 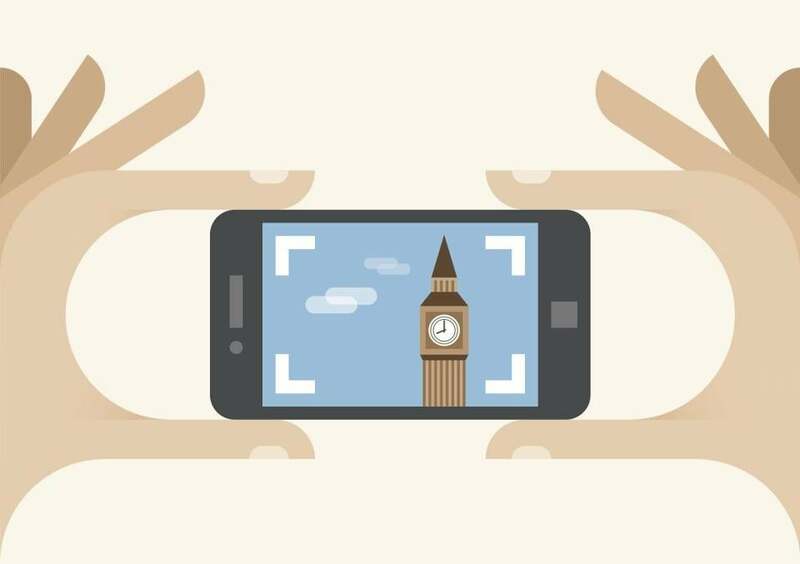 But in unpublished follow-up work, the team found that when a person takes photos with the intention of sharing those images, he or she does not enjoy an experience as much as someone taking photos for their own benefit. There was one other caveat: Taking photos of negative experiences has the unfortunate effect of making participants dislike those experiences even more, says Diehl. So be careful where you point your lens.